Lauren is gay! Nicole is bi! 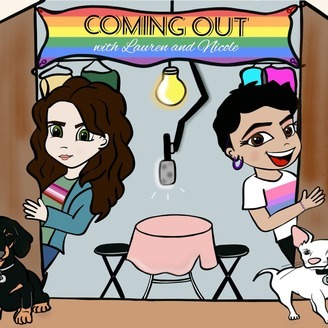 Coming Out with Lauren & Nicole is a weekly podcast where pals Lauren Flans and Nicole Pacent have queer folks from all walks of life tell the tales of how they came out to friends, family, and the world at large. Because who doesn't love a coming out story?! 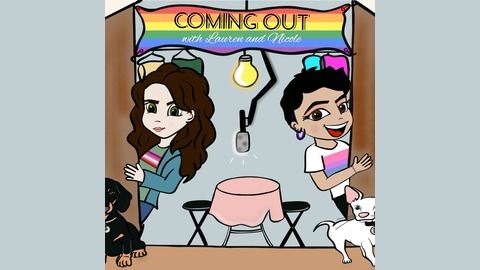 #comingoutpod #findricki. Episode 44: Briana Venskus LIVE AT CLEXACON! In our first LIVE episode, we talk to BRIANA VENSKUS at CLEXACON - OMG! Briana grew up in North Carolina with very accepting parents, but in an environment where she was otherwise "pounded with religion." She discusses dating her first girlfriend at 13, tells another coming out story without which her own wouldn't be complete, and explains how leading with empathy and kindness has always served her well. We also take questions from the audience, and Briana shares the greatest breakup line of all time!